Look for CRA to continue to claw back any tax credits such as disability or Child Tax Benefits. The government of the day has sic’ed their bloodhounds to go wherever there is money to get. There are no hold barred in their fight with Canadians to get as much as they can. The movement to e-filing has largely been accomplished when it comes to tax preparers who now have to e-file. The paper records system for CRA has now been farmed out to private enterprise. That means that it will be harder to retrieve any paper records and CRA has begun asking tax papers for tax forms they previously kept readily available. CRA is in the midst of targeting any cash businesses and now know what the average tip income is per industry. What is important to be aware of is, that if you are not claiming your tip income, you are likely on a list of taxpayers of interest. CRA is targeting Canadians with dual citizenship, now that there are very few borders when it comes to tax evasion. CRA is very busy with transfer pricing audits. Transfer pricing really needs to be lumped in with aggressive tax planning, because that seems to be how CRA sees it. Times are tough; money is hard to come by. Small business knows this fact very well. So, too, do the tax departments of the world. CRA being in a cash crunch has targeted small businesses with unprecedented aggression. They want to do audits NOW! They don’t want the audit delayed. Delaying an audit only delays their cash flow. Auditors, pushed by team leaders, are forgetting about the Taxpayer’s Bill of Rights, the Charter of Rights and often the laws of Canada. There has always been good concern about getting audited by the TaxMan, because the accounting industry is stuck in the Accounting Stone Age. Using generally accepted accounting principles, which often translates to a process of accounting for accounting sake and not for practical and logical reasons. 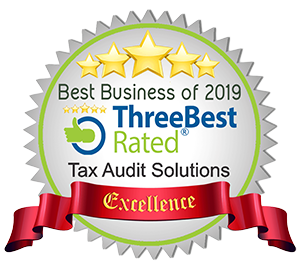 The bottom line here is that most people do not have a clue as to what audit ready bookkeeping is and why it is the only safe way to keep your books. What that translates to is happy hunting grounds for CRA auditors. Accounting is done to track every financial transaction and how it relates to business. It is done so tax returns can be done and most importantly to be ready for a audit. Interestingly enough the most important reason is pretty much ignored. When an audit happens there is a panicked scurrying around, following the pages of audit requirements given by the auditors. Auditors requests are pretty much standard across the board. So why is it that the statement is true but accountants and bookkeepers don’t just follow CRA audit requirements as a standard practice? The answer lies in tradition, a dumb tradition that has outlived its usefulness. In an audit, the auditor will typically look for the following data. Copies of previously filed sales/use tax returns with any related reports or work papers used to fill them out. Detailed general ledgers and a chart of accounts. Resale certificates and exemption letters collected. Federal and Provincial Income Tax returns for the years under audit. Cash disbursement journals or check registers. Asset depreciation schedule or fixed asset schedule. A description of who does what. All bank statements, both personal and business. All the above CRA Audit documentation requires an audit trail. In order to keep audit-ready books, we had to develop our own software and procedures. 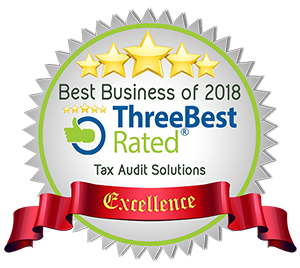 Now begins the difficult task of reprogramming bookkeepers and business owners to understand that if books are kept audit-ready, it then solves all the other requirements of good bookkeeping. CRA is ferociously aggressive in their desperate drive for tax dollars. They are using Bedford’s laws… a mathematical analysis of probabilities of tax cheating based on the numbers in a tax return. They have new data mining software that matches information from various sources back to tax returns that have been filed. CRA continues to hire more auditors so that they can collect more money from a smaller source amount. The transition to HST is triggering a 4 year window for Ontario and BC to backlog Retail Sales Tax audits. Tax Audits are now being automatically generated by computers. The bookkeeping by small business has been dismally bad, so they are going to fry this year. The recession has made things a double-bladed axe. Cash Flow Problems and CRA Cash Flow problems. This year will be a brutal tax audit season. For your business you need to understand that CRA views you and your business as a cash flow revenue stream. It is going to be a dirty year and small businesses need to clean up their act. Any business that files a tax return based on non-audit ready books is going to fry in an audit. I recommend having your bookkeeping redone to audit-ready status. Pay me a little now or pay me a lot later. Those are the only two choices left on the tax man’s chopping block. The axe will fall on those who ignore this wisdom. With lead-sharing between government agencies, and the requirements to register for numerous government bureaucracies, many more new audits will be triggered. For every corporation formed, there is a new audit target established. Being incorporated is a very questionable activity for small business that does not have a big net income. Incorporation’s appear bigger, and the bigger they are the harder they flop. Birds of a feather mining… if your clients or suppliers are getting audited this puts you on the radar for a relational audit. Higher gross sales make you a bigger target, regardless of your net income. Auditors and CRA investigators are trained to have their antennas up… just dealing with an off-duty auditor could trigger an audit. If a revenue department falls short of their quota there will be a scramble to audit a lot of businesses to shore up the team performance records. CRA auditors are now doing drop-in visits to businesses, under the guise of being helpful, they are really looking for cues to justify an audit. I know of one picture framer who ended up going bankrupt following a drop-in audit. He talked too much and caused himself a terminal problem. Friends drop in, so do enemies. Bureaucracies have the memory of an elephant. Once flagged, you are under the microscope for life and can expect repeated audits. If you don’t have audit ready bookkeeping when you are audited, you have a Tax disease for life. And you have to fight like hell to keep your dollars so you are not seen as a willing victim. This is the year to enter it ready for an audit. Also a year to await the three year statute barred window for sloppy past years tax returns. Each year you can breathe a sigh of relief as the three year danger zone decreases by a third. Our mantra today is, avoid tax strategies that CRA will fight with you over. If you reduce your taxes you are inviting a CRA tax scrap, so look for ways to build your wealth, rather than to reduce your taxes. The days of being able to be a sloppy bookkeeper are over. If you don’t have the time to do good books and can’t afford to hire a professional bookkeeper, your days in business are numbered. It is just as simple as that.